Buying candy in bulk can mean tremendous savings. But candy that is left in a hot, humid environment can turn gummy or hard, and if you leave it in the sun, it may melt or change color. If you don't store it correctly, the candy may not taste the same as it did when you bought it. Taking the time to wrap it and store it the right way helps keep your candy fresh and tasty. Put the candy in an airtight bag or plastic container. For best results, use a vacuum-sealed bag. If you prefer, use an airtight storage container. Write the date on the candy's container. Place the bag in an area that's cool and dark, such as a pantry. Some low-moisture candies, such as hard candy, can be frozen for several months, while others, such as chocolate, that contain large amounts of moist ingredients, can be frozen only for short periods. Freezers tend to draw moisture out of food over time, which degrades the quality of chocolates and other moist candies. Buy only fresh candy that has been stored properly. If possible, find out how the candy was stored before you bought it. Buy candy that has been stored in airtight containers away from heat. Hard containers, such as plastic boxes, can be stacked more easily than bags, keeping your pantry neat and making organization better. Never eat foods with signs spoilage or rot. 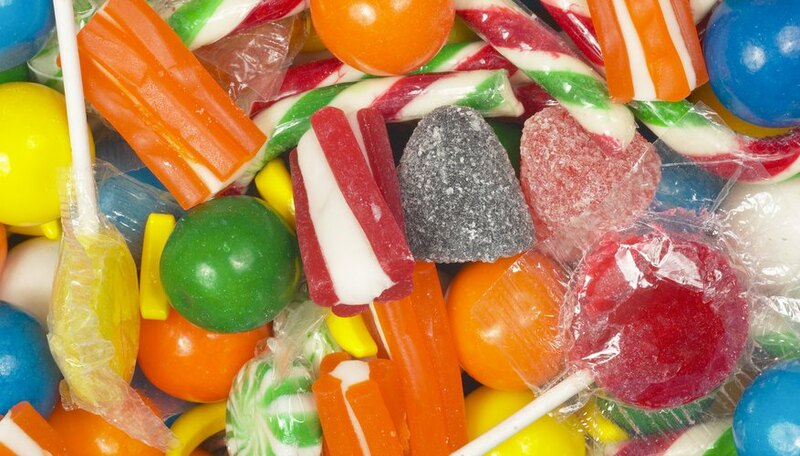 Candy that has developed a grayish coating or any other film should not be eaten, as this might lead to food poisoning. Sam Bresson has been writing on a variety of subjects for over ten years. His writing philosophy stems from a desire to learn as much as possible about life and living, then expressing his experience to readers. Sam holds a bachelor’s degree in anthropology.